Loyalty Email Marketing keeps you connected to your customers. Your new loyalty program will not only allow you to collect valuable customer data and preferences, but also give you the tools to use that information to better communicate with your customers and stay in touch. 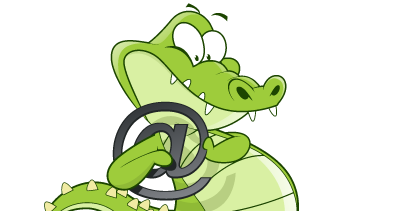 Loyalty Gator integrates with MailChimp® so you can easily add your loyalty program members to your specified email marketing list! What better way to inform and excite your customers about your new loyalty program? Use your preferred email marketing service to craft an attention grabbing email and distribute it to your current customers or use our integrated solution to send new loyalty members to your email list automatically! Now it's easy to stay in touch with your customers and remind them how important they are? No matter which email application you use, send customized emails to select or all customers with ease and enhance your customer retention strategy. See how effective target marketing can be. Automatic email receipts are fully customizable and can be sent to your customers directly after a transaction takes place. You can include great incentives to encourage customers to make a return visit and tell their friends. Marketing reports let you track customer activity and spending to gain insight into your most loyal customers. You can also review employee transactions.